The circular saw is an electric saw with an abrasive blade to cut materials like wood, metal, plastic or for masonry purposes. Circular saw powered by electricity or gasoline engine uses rotary motion to cut through different materials. A circular saw helps to cut the materials faster. This power tool is especially useful during woodworking projects to make different types of cuts like cross cuts, rip cuts or bevel cuts. You can also make straight, long and vertical cuts on the wall using the circular saw. You can use a circular saw when you need to make accurate cuts on materials with smooth finishes. 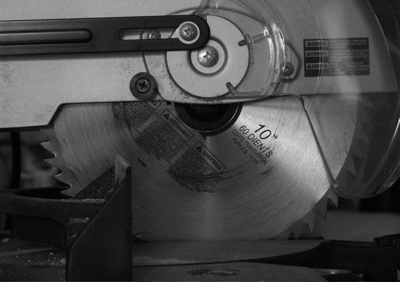 You can find quality left handed or right handed circular saws for your working convenience. This is a very important tool in the armory of any person involved in woodworking projects. Blade guard which protects the blade when it is not in use. Foot plate which helps to keep the saw steady while working on materials. Depth adjustment to cut pieces of materials with different thickness. Bevel adjustment to make the perfect bevel cuts. A circular saw can be used for different applications based on the type of blade on the saw. You should buy blades which are compatible with your circular saw and are suitable for your special cutting needs. For Cutting Soft Wood – You can use a circular saw with steel blades to cut softwood. These steel blades are not very expensive and are not very suitable for cutting hard wood. For Cutting Hard Wood – High speed steel blades are suitable to cut hardwood as they are harder than the regular steel blades and will last longer, even when used on hard woods. Cutting Metals – Blades with carbide tips are harder and stronger than the steel blades or the high-speed blades. They are expensive as well. Sharper and stronger carbide tipped blades are well suited for cutting metals. You can cut mild steel, stainless steel, hardened steel, aluminum, copper and brass using carbide tipped saw blades of different diameter. Cutting Tiles – You can cut ceramic tiles using circular saw with the tile cutting blades. Diamond tipped blades are well suited for precise cutting of ceramic tiles. Cutting Masonry Materials – Masonry materials such as brick, concrete, cinder block, etc. can be cut using the circular saw with masonry blades. How To Use The Saw Safely? If you are using an electric circular saw to ease your work, then you need to follow some safety tips. It is necessary that you use an eye protection when using circular saw to cut the materials you are working on. You need to select the appropriate blade for each cutting job. Make sure that you have attached the blade firmly to the saw. Place the saw in a comfortable position while operating it. Always use extension cords of correct size when you are using corded circular saws. It is important that you do periodic cleaning of the circular saw to remove any dust settled on it.